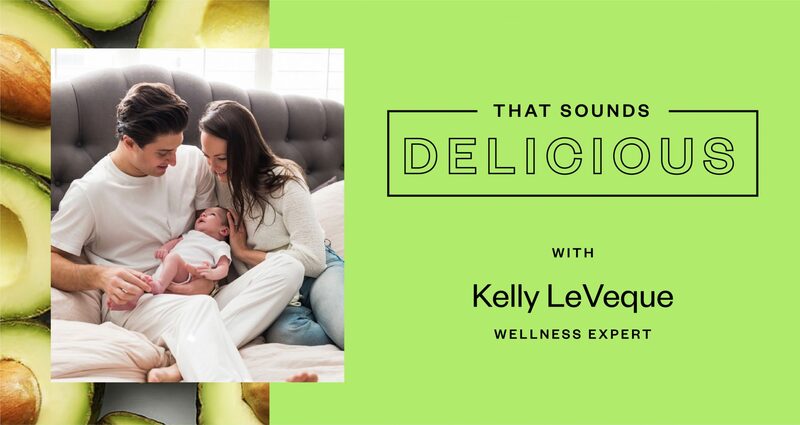 As a holistic nutritionist, wellness expert, and celebrity health coach, Kelly LeVeque pairs a lifelong passion for health with the science of nutrition in everything she does. After receiving her Post Graduate Clinical Nutrition education through UCLA and UC Berkeley, Kelly worked in the medical consulting field for Fortune 500 companies before launching Be Well By Kelly, her own health and wellness consulting business. Last fall, Kelly and her husband Chris welcomed a baby boy, Sebastian Dume LeVeque, into the world. We spoke with her to see how her approach to health and wellness changed while she was pregnant, and get her take on the nutrition advice all moms-to-be should know. What made you switch to online grocery shopping? 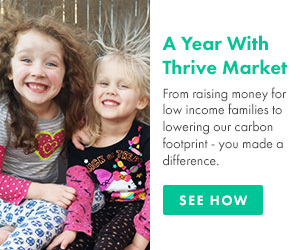 Has Thrive Market changed the way you shop? As a business owner and a new mom, I know it can be a struggle to make it out of the house and to the store. Life gets busy and having the things I need on hand to stay fueled and feeling my best is a top priority. Getting my Fab Four must-haves at my doorstep soon after I order is such a game-changer, and it ensures that my pantry is always stocked with what I need. What is your secret weapon in the kitchen, and how do you use it? One-pan meals are great since you can put together something healthy really fast. I think people can over-complicate meals. Keeping it simple is such a great thing—throwing together some veggies, like Brussel sprouts, and a protein, like wild-caught fish or organic chicken, and then roasting everything on a tray in the oven is one example. Then all you have to do is add some greens, like a spinach salad with avocado, on the side and you have a meal in under an hour. What were the key nutrients you focused on while pregnant, and why? While I was pregnant with Bash, I focused on what I call the Fab Four, which is what I teach my clients—and what I followed before I was pregnant, too. The Fab Four is what I call protein, fat, fiber, and greens—the key things you need to stay satisfied, turn off hunger hormones, and stabilize blood sugar. Keeping my blood sugar levels in check while pregnant was a huge priority, since research suggests that hormonal fluctuations in pregnancy can cause insulin resistance, and increased carbohydrate intake can create an inflammatory microbiome. This is why it's so important to focus on foods, like veggies, that are wrapped in fiber; quality proteins to calm hunger; and healthy fats to slow digestion and help keep blood sugar in check. How has your approach to health and wellness changed after having your baby? My approach to health and wellness has not changed that much, because I always say that focusing on small steps is key when it comes to creating sustainable habits. So, instead of getting overwhelmed with all of the things I want to do—like cook, work out, meditate, and so on—I focus on one step at a time. Sometimes that means I focus on getting in at least one healthy meal a day, even if it's my Fab Four smoothie that took me three minutes to make. When you're a new parent, your time is so limited, so making the most out of what you have is key. What are the key lessons you want to teach your son about eating well and living in balance? Balance: Just focus on adding nutrition to your plate, not deprivation. You can have a cookie when you eat the Fab Four first. Light structure: Eat what you love. Autocorrect: Don't be afraid to go out with friends and indulge a little, but know how to get back on track without going all out. What is your go-to breakfast, lunch, and dinner now that you're a mom? Let’s talk about your new-mom essentials. What are some products you've recently discovered (and can’t live without)? Want a head start on Kelly's Fab Four smoothie? Shop her smoothie starter kit now!